Using a wireless headset gives you greater freedom to move and multi-task – increasing your productivity while reducing health risks. 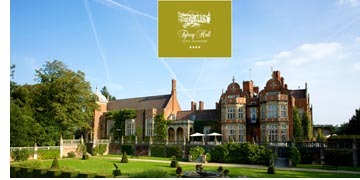 We recently helped Tylney Hall Hotel transform their way of working by introducing them to wireless headset technology. Their timing was perfect too; Jabra are currently offering £20 cashback on many of their wireless headsets. Tylney Hall Hotel’s busy office team were using telephones and corded headsets that were old and out-of-date. The headsets were suffering from performance issues and just weren’t helping staff to do their jobs efficiently. Having a largely paper-based system, the majority of customer calls required staff to move away from their desks to look things up in filing cabinets, on wall boards or to go and speak to other staff members elsewhere in the hotel. Their existing headsets were not wireless, meaning that they were invariably having to take messages and call customers back. This wasted time, as well as causing frustration for customers and staff alike due to the inevitable telephone tag that often ensued. The manager of their busy office team approached us to help because we had previously supplied headsets to the Elite Hotels Group of which Tylney Hall is a part. After discussing their challenges and considering their requirements, we recommended a wireless solution to help improve their efficiency. 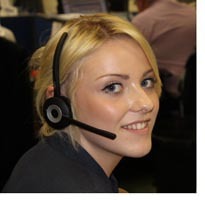 The team selected Jabra Pro 920 headsets and were delighted with the results. Wireless headsets allowed the team to move freely around the office and access the information their customers required during the call. This introduced a whole new way of working, bringing greater productivity and customer satisfaction. An auto-answer feature on the headsets also meant that the team could easily answer calls without having to be at their desks. The team were pleased with the improved sound quality that the headsets brought to their calls – better for them and their customers too! The wireless headsets also delivered great range. The team were pleasantly surprised at how far they could move around the hotel whilst on a call, giving them the freedom to find colleagues at the front desk or restaurant who could immediately answer their customer’s queries. The ability to walk and talk transformed the office and when their Events team colleagues saw the headsets in action, they ordered them too! It’s also a great time for you to go wireless. Click on the link below and save £20 on your new Pro 920 headset. Not sure if this is the right headset for you? Read our guide to choosing headsets or call us now on 0118 920 9420 or email us at sales@com-solutions.co.uk and we’ll be happy to help you. 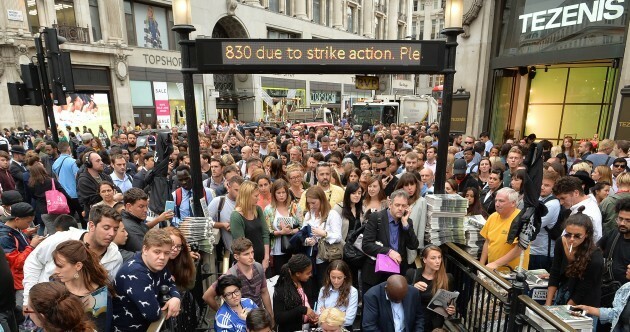 With a hosted phone system your communications are no longer at the mercy of rail strikes, adverse weather, unexpected events or delayed engineers – it’s business as usual! A hosted phone system puts you in control. As well as safeguarding your business continuity, it puts your organisation’s entire communications at your fingertips. You can manage your extensive call features and make system changes instantly. This brings freedom and agility to your business. What control benefits can you expect? Click here to discover more benefits of hosted telephony. Call us now on 0118 920 9420 or email us at sales@com-solutions.co.uk to discover how your business can benefit from hosted telephony. Did you know that 63% of knowledge workers state their presentation performance is negatively impacted by technical issues when getting their meetings started? Watch this video to see what Jabra discovered when they did some research into collaboration and on-line meetings. If you want to be able to get straight down to business, then why not try a Jabra speakerphone? 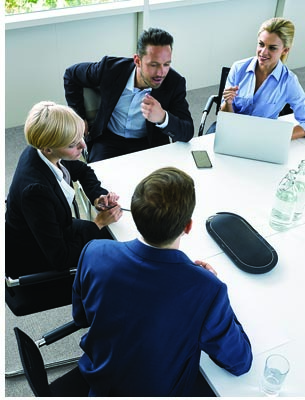 The popular Speak 410 and 510 now have a powerful big brother – the Jabra Speak 810 – perfect for larger meetings. All are available in standard UC and customised Skype for Business versions. Plug and play – connect to any device easily and be ready to talk in seconds. Better collaboration – have up to 15 in-room attendees and unlimited dial-in attendees on your conference call. Hear and be heard – enjoy crystal clear calls through HD sound and intelligent, directional ZoomTalk™ microphones which focus on the human voice and remove background noise. Call us now on 0118 920 9420 or email us at sales@com-solutions.co.uk and discover how your conference calls can be transformed. If you would like a demonstration, we’ll be happy to arrange it. How do you afford a phone system with the call features to keep your customers happy and smarter working features to keep your staff happy…..without busting the budget? A hosted telephone system delivers feature rich, high quality communications that provide for all your smarter working needs, whilst bringing significant cost savings. What cost benefits can you expect? Automatic system upgrades and features. Next time, we’ll take a closer look at the control that hosted telephony will bring your business.